Lemon Drop Dress pattern for 18″ doll like American and Australian Girl. Back closes with Velcro or snaps for easy dressing. Tunic and dress length, ruffle and no ruffle options, just like our Lemon Drop for girls. 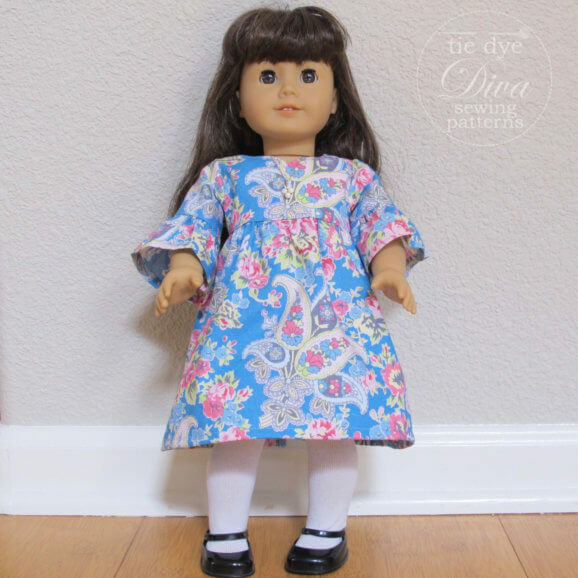 We also have a pattern for 14.5″ dolls like Wellie Wishers here: http://www.tiedyedivapatterns.com/product/wellie-wishers-doll-size-pattern-lemon-drop-dress-pattern-for-14-5-doll.